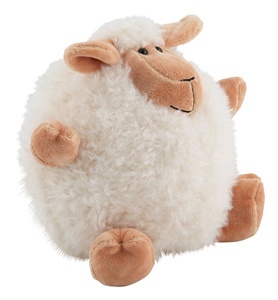 Adorable plush ‘puffball’ Sheep. Roly Poly has a big round belly and a cute face with floppy ears. Lovely and soft to cuddle.